Health Connector Update; Artspace; Cyber Attacks; "The Village Effect"
It’s no secret that the Hawaii Health Connector had a rough start last year, and it has faced a crisis of consumer confidence as a result. As the Connector’s Executive Director, it’s Jeff Kissel’s task to help rebuild that confidence, and with a couple of months to go on its open enrollment period, he’s spreading the word that affordable health care is now within everyone’s reach. Notwithstanding their wealth of talent, artists in these isles struggle with dim job prospects, dwindling paychecks and decreased public funding. Vicky Holt Takamine has done her part to lift their burden. She is a popular kumu hula (teacher of traditional Hawaiian dance) and the Executive Director of the non-profit PA‘I Foundation showcasing native artists. In the last three years, she’s extended her arts advocacy by coordinating with Artspace. Artspace is a national, nonprofit real estate developer specializing in creating housing units just for artists. Vicky Holt Takamine joined us in the studio to share some news about Artspaces’ plans for Kakaako. Recent events have reminded us of the effect cyber attacks can have. It’s a whole new face of warfare and one that governments are scrambling to stay ahead of. One way to stay ahead of the game is to employ expert advisors. Dr. Motohiro Tsuchiya is one of them. He’s a cyber security advisor to the Japanese government and a visiting scholar at the East West Center. He’s joined us this morning in studio. Quit smoking, start jogging, jog more, eat less… so goes the commonplace litany of New Year’s resolutions made in hopes of improving your chances of having a long and healthy life. But if you want to achieve these goals, consider improving your relationships. Not the ones you click on in Cyberspace… the ones you nurture face to face. 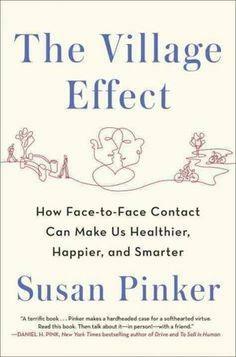 This old-fashioned idea gets new support from Susan Pinker. She is a developmental psychologist and renowned writer on emerging issues in social science. She has amassed a wealth of research suggesting that virtual connections cannot replace the value of warm-blooded human interaction. That’s a phenomenon she calls the Village Effect, which is also the title of her new book. Susan Pinker joined us by phone this morning to share some insights that may just tweak your New Year’s resolutions.